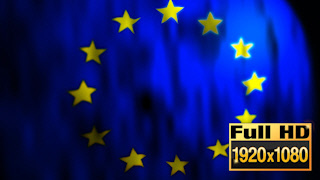 Full HD Video Background of the Flag of EU slowly waving. The flag has been created to be only partly in focus to blend in better as an out-of-focused background. I hope you find it very useful in your projects.